A recent thread on QRZ (Any special consideration for long run of twin-lead?) gives an interesting example. 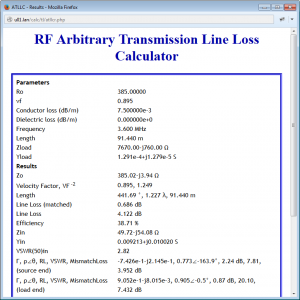 The poster is considering 300′ of ladder line to a 260′ dipole to use it on 160-40m. 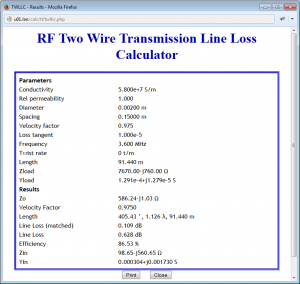 G3TXQ reports he calculated using EZNEC the feed point impedance of the dipole to be around 7670-j760Ω at 3.6MHz. This is a case of a long feed line with high standing waves and warrants evaluation of the losses. 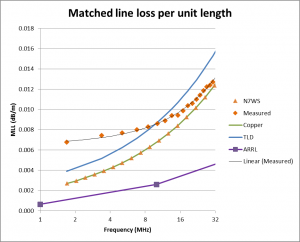 Taking the Matched Line Loss (MLL) of Wireman 553 to be 0.0075dB/m from the graph above, and assuming the loss is entirely conductor loss at this frequency, the loss can be calculated using ATLLC. 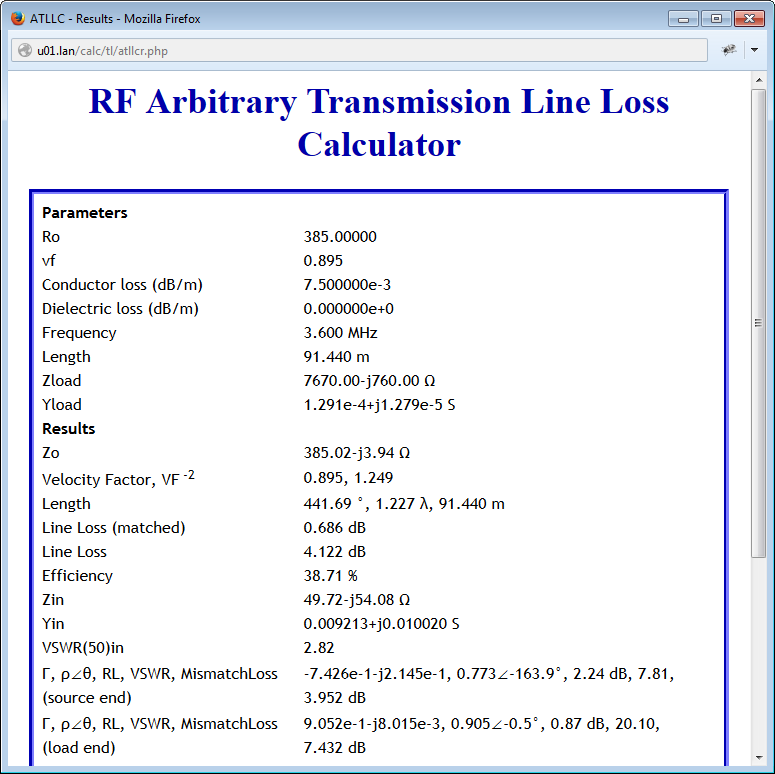 Although the MLL for the 91.44m (300′) is only 0.686dB, the effect of the mismatch is to deliver a loss of 4.1dB, or a transmission line efficiency of just 38%. 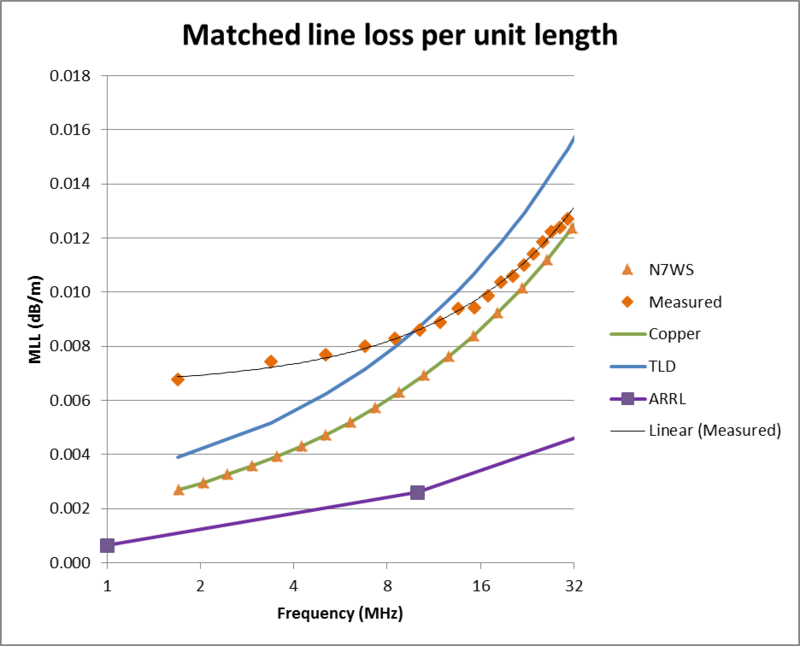 By contrast, the above calculates loss in nominal 600Ω 2mm copper conductors spaced 150mm, just 0.63dB, some 3dB better or more than twice the efficiency. 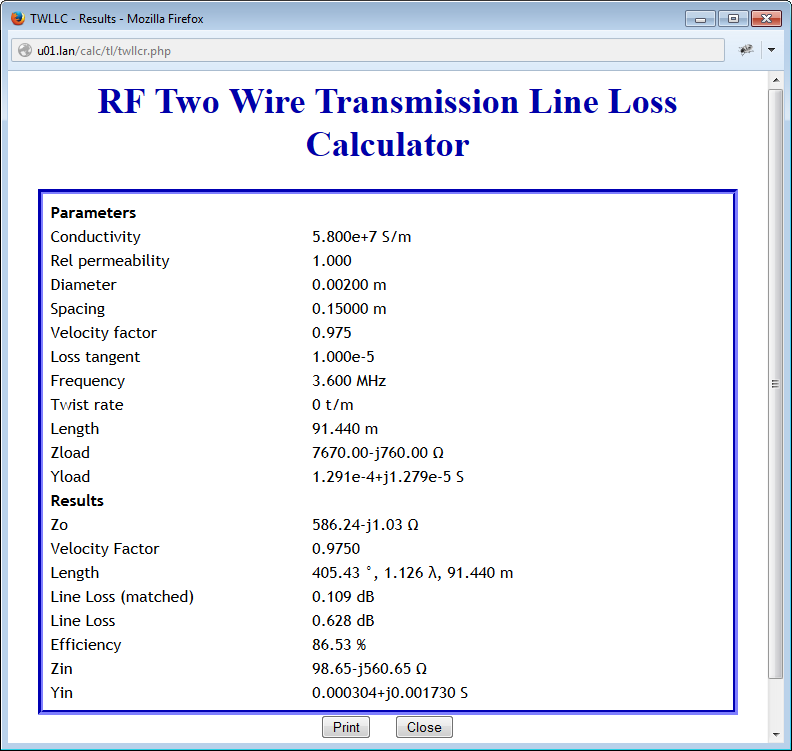 Loss in open wire line is not necessarily insignificant, and proper evaluation is needed to understand its significance.